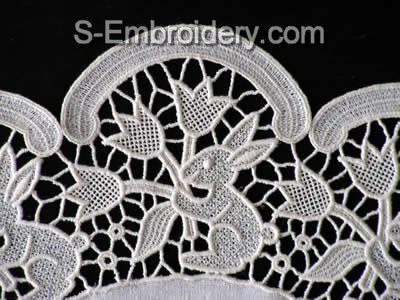 A nice free standing lace machine embroidery design. Use it to create an Easter doily. The doily is featured on our web site. It was produced by stitching out the design 12 times. The diameter is 20 inches (51 cm). 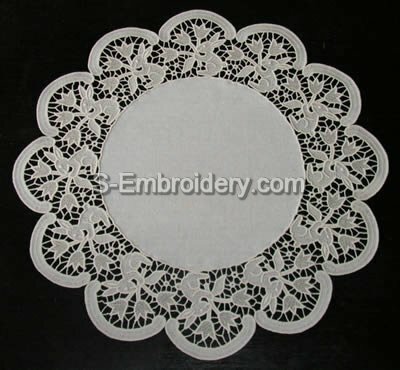 You receive 1 machine embroidery file in any of the supported formats, as well as design information and instructions for preparing the doily in PDF format.